Winner of the prestigious G.S. Ghurye Award (1977), Structure and Cognition is an essential reading in the sociological analysis of Hindu myth, ritual, and society. The author departs from conventional empirical studies of local communities. She bridges the gulf between Indology and Sociology by basing her data on an examination of select myths in Puranic and Sutra literature. Including a new introduction from the author, this Oxford India Perennials edition underlines the continuing of the book for contemporary research in sociology and anthropology since it was first published in 1977. Veena Das is Krieger-Eisenhower Professor of Anthropology at the Johns Hopkins University, USA. The Idea of revisiting a text that was essentially completed in 1970 (though first published in 1977) leaves me with an uncanny feeling of familiarity and strangeness. A feeling of familiarity comes from the fact that on reading the text in order to prepare this new Introduction, I discovered to my astonishment that the guiding question of this text, that is, how to prepare ourselves to receive knowledge that stands somewhat outside our received templates, call it the knowledge of the other, continues to animate my work. The strangeness arises from the feeling that there are passages in the book that I know I wrote but I have difficulty in imagining that I fully understood them. I can only describe the years that link my life as a twenty- five- year-old who wrote this book and a sixty- something now, as those of being bewitched by invitations from the lives and texts I find in the world. It seems to me that I have not so much moved forward as made a series of (re) turns. One of course, never returns to the same place again- so these turns might be thought of as discovering the same problems in different forms within my intellectual trajectory. Structure and cognition was based on my doctoral dissertation (das, 1977). I had chosen to study a series of caste puranas from Gujarat written between thirteenth and seventeenth centuries. Though I published papers based on other regional puranas such as the malla purana (the purana of the wrestlers) and the vayu purana (of the vayad Brahmas and variks), for this book I chose to combine the analysis of the Dharmaranya purana regional caste purana of the Modh Brahmans and vaniks from a town called Modhera in Gujarat and a classical Sanskrit text on the performance of domestic rituals for the book. The history of how the book came to have this composition is an interesting one. 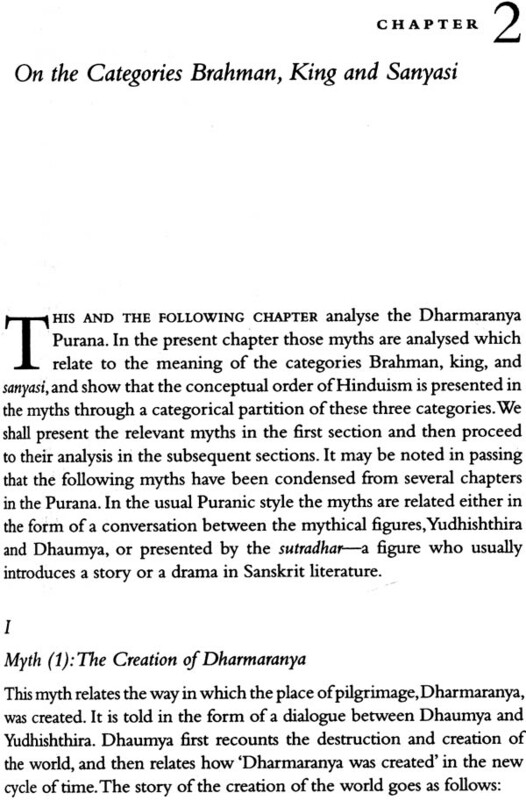 Although the title of Dharmaranya purana is the same as one of the canonical puranas included in the eighteen main puranas, and there are some verse that are shared, the main text is about regional event that explain the relation between different segment of the Brahman and Vanik castes from modhera. Yet the text seems to have found it important to not only name itself after a canonical purana but also to imagine the local relations within the structural framework of classical Hinduism, such as the tripartite structure of Brahman, king and, renouncer or the theme of the ambiguity of the gift. I deliberately talk here of the agency of the text rather than the authors about whom we know nothing except that they obviously worked within a notion of authorship that privileged a given genre even for registering newness or innovation. One objection I faced at that stage, especially from those writing within a Dumontian framework, (which, as is well-known, posited hierarchy as the key to Indian society), was that the caste puranas were not part of classical texts. At best, some suggested, these were expressions of regional aspirations rather than classical conceptions underlying Hindu society. I chose then to expand the scope of the book by including the discussion of domestic rituals in the classical Grihya Sutra texts as well as the texts on death rituals. 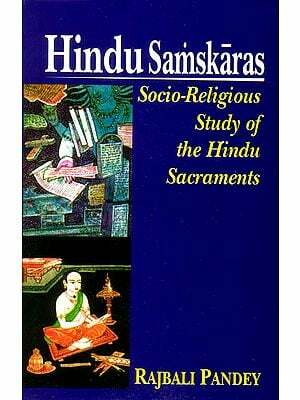 Thus, taking caste and domestic groups as the units for analysis was an opportunity to test if hierarchy and the oppositions of purity and pollution were indeed the dominant oppositions through which Hindu society was ordered. In addition, though, there were other issues that cropped up-how ‘history’ to be conceptualized? The Dharmaranya purana was positioned within the text itself as the history of a caste group. Did the main themes of the eighteen major puranas, such as stories of creation and recreation as well as histories of dynasties provide a model for the regional text to recount important regional evens? What was an event from this perspective? With a distance of thirty –five years, it is interesting to see how some of the themes of the Structure and Cognition from the first edition in 1977 and the revised one in 1982, appear in the light of my later concerns. The point to remember is that for every single meaning of the categorical term that is brought to the surface, there is a class of unexpressed meanings that form a kind of hidden treasure. In Sanskrit poetics it was believed that every word had is own powers, and my analysis of these categories has persuaded me that words can be thought of as pulsating with life, and with a dynamism that comes from the totality of meanings that they can be made to evoke. [Das, 1987;150]. The idea that words carry not only meaning, that they not only refer to the world, but that themselves have some kind of life so that survivors of violence might be able to narrate what happened to them but that their touch with life is lost, that words might become frozen slides from which all life has been drained, is one of the guiding idea of Life and Words (2007). New admittedly the idea of language and its intimacy with death, doubt, and skepticism developed in life and words, makes the concept of language much darker than that of the words that are pulsating but as intensities observed in the context of myths, rituals, and in expressions of the everyday was a theme in Structure and Cognition that revealed the flaws in the mechanistic model of purity and pollution as degrees along a single continuum. There are various places in Structure and Cognition, where the idea of life makes an appearance- encompassing biological life, life of the individual, life of the community, as well as the way words themselves become repositories of intensities that signal the play of life and death. It seems clear to me now that I needed more experience of life (though I had already encountered death in many guises) to work out more fully the subtle relations between these different thresholds of the life, as Bhrigupati Singh calls them, in his recent work on the nomadic lives of gods and other such matters (Singh, 2009).But I am glad that the beginnings were there much before I could fully grasp the notion of the life without resorting to a philosophy akin to vitalism. In the Dharmaranya purana, the renouncer serves as a point of reference in the process of explaining the divisions among the Modh Brahmans –the Chaturvedi Brahmans being the ones who, in accordance with the renunciatory ideal, refused to receive the sacrificial gifts even from such a meritorious king as Rama. 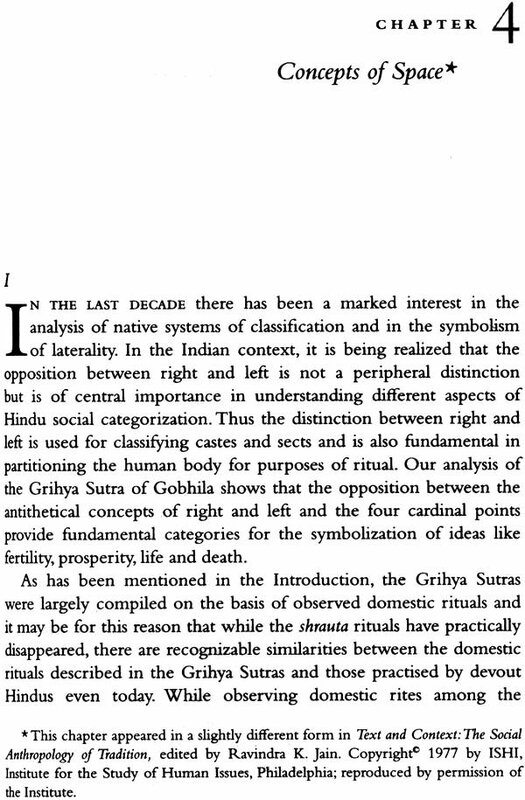 Here, we have a hint of how the gift is not only essentially ambiguous, a point made by Marcel Mauss ,but also that a kind of recounting of the past through the category of the renouncer is available to all castes –from Brahmans to lower staus Shudras. Indeed, the recounting of a past in which a strict adherence to the dharma of refusing gifts and accumulation was followed provides a way in which such lower castes as Doms can also explain their present low status in the world. Although not many scholars have followed this lead, it is interesting to see how the boundaries between the category of Brahman, Vanik, and Shudra sometimes merge with each other and at other times become separate and distinct. 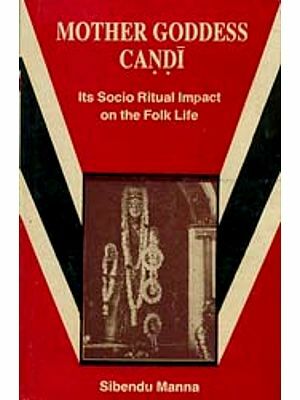 Thus one of the branches of the Chaturvedi Brahmans were said to have become Vaniks because they took up the vanika mode of livelihood. In accounting for different jatis within the fold of the Modh Brahmans, the purana gives many indications of the influence of ‘foreign customs or norms’, of economic necessities that make some groups accept such occupation as wrestling that is clearly distinguished from warfare so that the wrestlers retain the status of Brahmans. The chapter on jatis in structure and cognition gives a sense of the historical turmoil within which the text emerged. 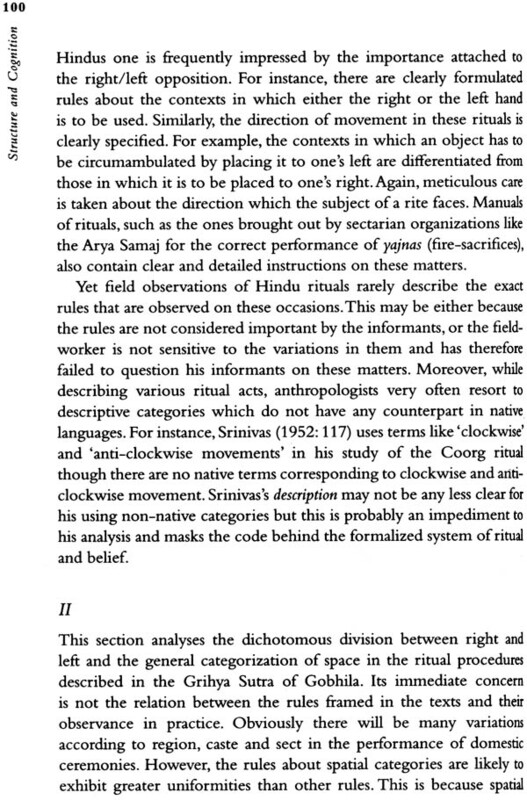 Although some critics thought that my fascination with structural analysis was inconsistent with a genuine historical understanding of caste, this particular chapter seems to have attempted precisely to show that there were Hindu theories of time that were deployed to understand how to contain the disruptions of history. The theory of kalivarjya-actions forbidden in the Kaliyuga (the fourth age in the Hindu cycle of time), even though these actions were considered right for the earlier three yugas when human beings were considered to be morally superior- broke the simplistic idea of linear versus cyclical time. It showed instead how ideas of what is foreign, what is new, and what is being transformed, in short, the flux in the career of social categories and groups, was vital to the Hindu understanding of the world in this turbulent period. Nevertheless, the framing of the text took the social axiology of the tripartite division into Brahman, king, and renouncer as the starting point for its narration. More recently, I have returned to the conceptual status of the ‘exception’ in Manu and argued that it provides a distinctive theory of what it is to follow a rule (Das, 2011). 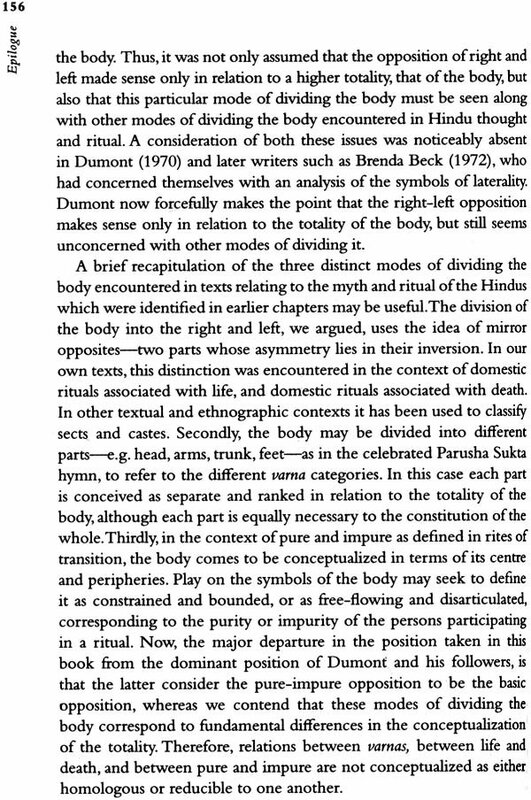 I feel that if we are to take the conceptual claims of categories embedded in texts produced within Indian traditions further, we will need to go beyond words (for example ,is dharma to be translated as religion or law?) and instead ask how meaning and significance are created as we move from words to sentences, discourses and even to experience of inter- texture to such notions as that of historical change. I can illustrate this idea best with reference to the importance I gave to the syntagmatic operations, showing that while paradigmatic operations of oppositions, equivalences, and isomorphism were of great importance, it was also imperative to consider when and where a category emerged, at what point in a story did one term (for example, Brahman) merge with another (for example, Vanik), or what was the sequence when more than one category was mentioned. Take for example the statement that the Brahmans make in exhorting the jain king to restore their grants to them, ‘Whether the king is a Kshatriya or Shudra, it is his duty to protect the Brahmans’ (Das ,1987:51). 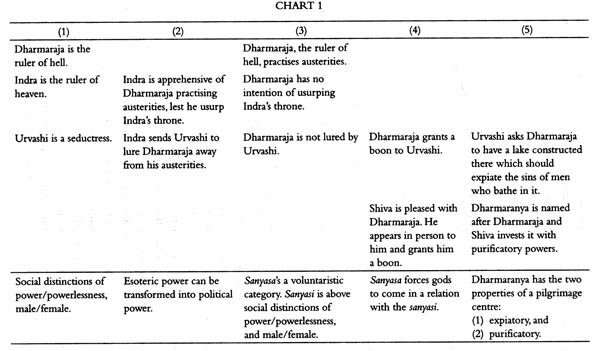 Here, the string of terms-Kshatriya and shudra- together forms the domain of kingship, yet, historical change is signaled by the order of succession of these terms. 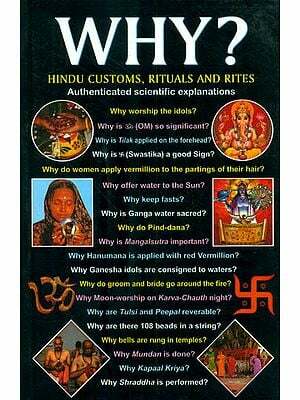 There are other texts such as the Bhavishya purana, in which the series extends also to Mleccha kings. Too often the claim to ‘indigenize’ anthropology or sociology comes to rest on little more than asking if there is a word in an Indian language that corresponds exactly with another in English with the implicit assumption that the absence of such correspondence implies the concept is lacking in India. Thus, I have heard scholars of great repute triumphantly claim that secularism is foreign to Indian thought since there is no exact equivalent of the term in an Indian language. Surely, though, such hasty pronouncements ignore the simple fact that to grow a concept from Indian texts or from the evidence of language must be a more patient undertaking. Indeed, words grow and are projected further into new domains as mew events occur. Words gather meaning not only from their own traditions but also from other tradition in whose company they find themselves. If nothing else, I am at least glad that structure and cognition attempted to devise methods for growing concepts rather than assuming that lists of words would do the trick . At the time of writing Structure and Cognition, I was fascinated by the opportunities offered by structuralism to go beyond words and to think of strings of discourses. I never thought of structuralism as simply finding binary oppositions and establishing equivalences. I find that i paid much more attention to the syntagmatic axis of discourse and treated it as analytically equivalent to the paradigmatic axis, which was not the common practice in structuralist analysis. I had felt that a close reading of Levi-Strauss showed that there was a complex relation between series and structures, that notions of transformation were not reducible to algebraic operations but had deep implications for how we think of human societies as playing with what is actualized and made present in any given system as well as with the paths not taken. I will offer two examples that had a great impact on my thinking, though I do not explicitly mention them in Structure and Cognition. First, in his analysis of marriage alliance, Levi-Strauss (1969a) did start with positing the distinction between restricted exchange and generalized exchange but went on to show on the latter parts of The Elementary Structures of Kinship that the shadow of the alternate system that was not chosen, falls on the one what was actualized in any given empirical formation. Thus, restricted exchanging women become larger so that the crisscrossing of descent and locality, necessary for systems of restricted exchange to become global in scope, mutate into the simpler forms of generalized exchange. Similarly, he argued that generalized exchange mutates into a series of smaller cycles-more akin to restricted exchange than the large single cycle of generalized exchange. This is not the place to go into any detail on the empirical questions of the impact of soicio-economic transformations on gumsa and gumlao formations among the Kachin (see Nugent, 1982)-the conceptual point that is interesting is the idea that human societies always play with possibilities not realized in actuality. 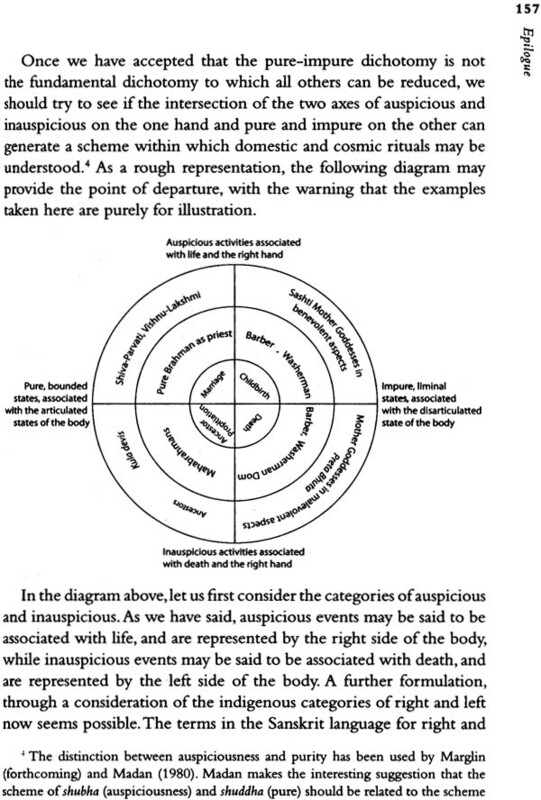 Moving from kinship to myth, Levi-Strauss showed that any cycle of myths (for example, the bird nester stories) leaves residual elements that depend for their meaning on another cycle of myths that are in the custody of a neigh boring group () Levi-Strauss, 1969b). I spent many years teaching my student to read a text for its surpluses- of ideas that somehow drop out of circulation because they cannot find read purchase. I find it interesting that the wholesale rejection of structuralism has not led to a total eclipse of these conceptual ideas, for they do appear in new forms. A genealogical rendering of the dispersal of motions of series, sequence, residues, and the place of the neighbour will find some affinity of these ideas with those of structure, axiology, oppositions, and homologies. Let me then conclude with one of my favourite passages from the book, which, I wish, I had been able to work out more cogently. It would take another book to trace a genealogy of the importance accorded to sequences, residues, and of the text itself as essentially an incomplete story that needs the embrace of other texts and other stories within Indian philosophies of language. Recently, I have begun to think more systematically of the way in which we can track the centrality of intertextuality as a mode of experiencing texts. What relation, for instance, does an example within a text on grammar bear with an example in a text on aesthetics? Does the idea of an exception in ritual bear a relation with the idea of an exception on a text in law? Whether I can complete this work or not, I am encouraged by the fact that a new generation of scholars are finding new ways of inheriting text from the rich traditions of Indian languages, both classical and vernacular, belonging to Hindu, Buddhist, Jain and Islamic traditions, that can bring them into conversation with contemporary intellectual concerns. As the philosopher Stanley Cavell (S2003: 248) once remarked with profound insight,’...it is not for the text to answer the questions you put to it, but for you to respond to the questions you discover it asks (of itself, of the you). What questions then, do these texts ask of us now? 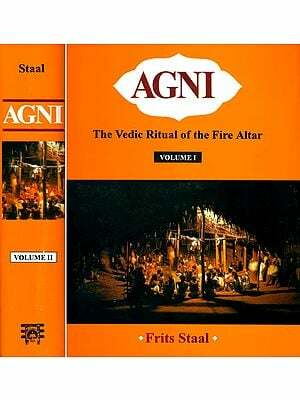 This study seeks to understand the Hindu theories of caste and ritual from the Hindu texts. It tries to make comprehensible the structure of texts which until recently have been regarded as a peculiar mixture of myth and history. I find it difficult to accept that a text is only a random juxtaposition of ideas simply because the structure within which its author or compiler has conceived it is not our idea of a structure. Hence the cognitive structure of the texts has been presented here in its totality. I began my research on these themes in 1966 for my PH.D. Dissertation which was completed in 1970 under the supervision of Professor M.N. Srinivas. It was largely his encouragement which made me take up what was a very unorthodox endeavour in sociology in 1966. The development of Hindu ‘ethno –sociology ‘ meanwhile encourages one to believe that the Hindus’ own view of their society is now going to be treated with some seriousness. I am deeply indebted to Professor Srinivas for many stimulating arguments on this theme and for a dialogue which has continued for ten years. My colleagues in the Delhi School of Economics have provided lively discussion and debate. I am especially grateful to Professors Andre Beteille and A.M. Shah for help and critical comments in various stages of writing this book. Professor J.P.S. Uberoi has always shared his ideas with generosity. But for his participation in the evolution of these ideas I am sure the analysis would never have been completed. Whenever I have been unsure, I have inflicted whole chapters on Meena Kaushik and Shiv Visvanathan and they have patiently pointed out contradictions and likely sources of confusion. Most of all, my husband Ranen has been a tremendous source of sustenance, as well as the most consistent critic of my work. I express my sincere thanks to Mr Ramesh Shroff, Professors U.B. Shah and R.N. Mehta for their help in tracing the texts of the caste Puranas; to Mr and Mrs Imdad Ali for their generous hospitality during mu stay in Ahmadabad; to the staff of the Ratan Tata Library for their cooperation ;to the Centre of Advanced study in sociology for a grant towards the preparation of the manuscript; to the Institute for the Study of Human Issues Inc. And Contributions to Indian Sociology, n.s, for permission to use material in Chapters 4 and 5 respectively from my articles which were originally published in their journals; to Mr R.L. Kalra for typing the manuscript with great care; and to Oxford University Press for their editorial contribution.